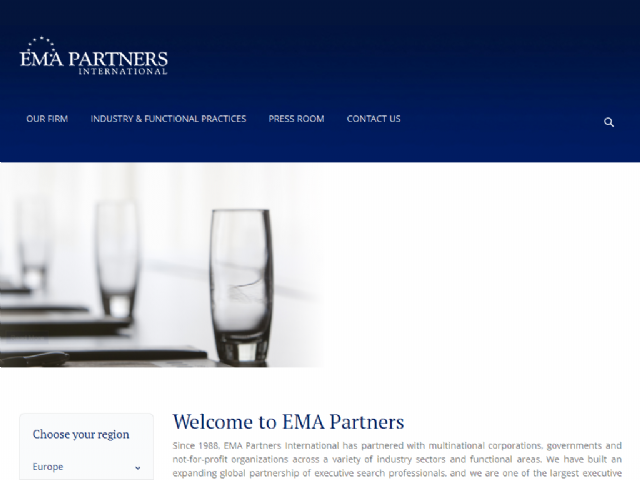 For 25 years, EMA Partners International has partnered with multinational corporations, governments and not-for-profit organizations across a variety of industry sectors and functional areas. We have built an expanding global partnership of executive search professionals, and we are one of the largest executive search firms in the world. With more than 40 offices on six continents, we are dedicated to satisfying the senior executive search and talent management needs of our clients.